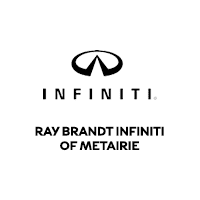 What Should You Expect from INFINITI Dealerships near Metairie, LA? If you’re in the market for a used vehicle, you can purchase from a private seller that you may find online. You also have the option of shopping at a dealership. For new models to drive, you’ll want to head to some reputable INFINITI dealerships near Metairie, LA. How can you know which place is right? How can you tell you’ve made it to a quality dealership you can trust? There are certain elements the greatest dealerships have that you can’t do without. When some people think of a dealership, they imagine a place that puts on heavy pressure for people to make a purchase. This isn’t an ideal sales method, and it’s certainly not what Metairie, LA, customers want. Most dealerships avoid high-pressure tactics and create an atmosphere where the shoppers make the decision. You need a sales associate to guide you in the buying process and to answer your questions. But ultimately, you want this person to back off and leave you in charge. The beauty of car shopping is that you should have plenty of choices in front of you. When you walk into INFINITI dealerships, you can tell the sales team a few ideas of vehicles that suit your needs and preferences. A top-notch sales team associate will show you a few models with varying features and capabilities. Also, the staff should present pricing and payment information on both new and used vehicles as well as on financing and leasing possibilities. A dealership ultimately wants to sell you a car, but it should be much more than that. The greatest dealerships in and around Metairie, LA, will have a comfortable waiting room along with refreshments and snacks while you wait. In addition, if you currently own an INFINITI, you can bring it to a qualified mechanic in the service department to make necessary repairs. A shuttle service should be available to take you to and from home or work while you wait for your vehicle. The entire buying process is important, but it doesn’t have to overwhelm you. With a committed, friendly, honest staff you can have an overall positive experience at any of the INFINITI dealerships near you. INFINITI dealerships have the qualities you’re looking for when it’s time to find a new or used car to drive home to Metairie, LA. Ray Brandt INFINITI fits the profile of an ideal dealer.